Built 1903 for Bennett Steamship Co Ltd, Goole; trading between Goole and Boulogne. The Captain was William Denby (my great great grandfather). 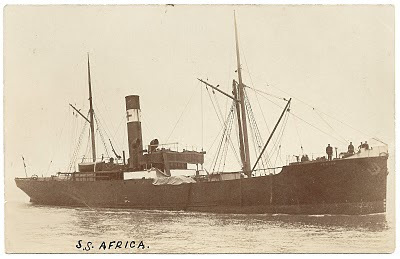 Africa was chartered by the Admiralty at the beginning of World War I and sank after striking a mine in September 1915.